Options trading is about to catch on like wildfire in India because of the margins imposed on Futures trading. The retail investor will get sucked in sooner or later thinking that options trading is easy and profitable. Options trading is dominated by the big guys – algo traders, institutions (domestic and foreign), options writers, AI and other tools that can smack the living daylight out of the average retail trader. Therefore, retail traders must be extra cautious if they want to protect their capital while speculating with options. The following is a low risk strategy that generates limited profits or losses. The only caveat is that it should be squared up at the same time. 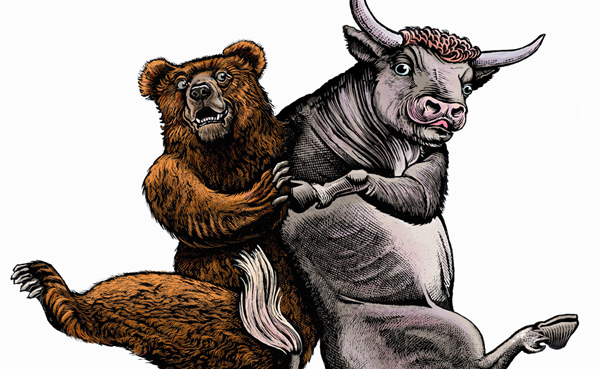 You need a screener to discover bullish and bearish stocks. If you want to know more about how VWAP works, read this article. First set up the discovered stocks on your software tool or at Investing.com. This is how you set up stocks at Investing.com. Use the following strategy. This will require you to wait for 15 minutes before trading in options, and it will hold you back from making any rash decision. For example: If stock is bullish at 200, buy 210 CE and sell 220 CE. For example: If stock is bearish at 200, buy 190 PE and sell 180 PE. The spreads will be low and so will your your profits and losses. Just ensure you square up positions at the same time. Don’t keep any one position open, especially the short position. This is a short post, but there is a lot of reading to do. So go ahead and soak in the knowledge and try it out and do tweet if it works out for you. 9 Comments on "Low Risk, Low Margin Options Trading Strategy"
Great strategy for buying options. Near OTM works best! Selling is risky. E.g. DHFL Puts went from few rupees to hundereds in minutes. Sir thanks a ton for taking out time and sharing your valuable experiences with us. Sir can we apply 15min price action strategy over crude , request for guidance sir, if I’m wrong sir. I’ll request if you can guide how to go about trade in crude oil. Can we buy far OTM PE in place of selling far OTM CE? SIR, GOOD MORNING, YOURS GUIDANCE IS VERY USEFUL.